Infant walkers might offer freedom for babies, but doctors are warning of the dangers they possess. Changes in safety standards have led to a drop in the number of babies injured using the devices, but still more than 9,000 children are injured each year using infant walkers, according to a new study in the Journal of Pediatrics. Between 1990 and 2014, an estimated 230,676 children under 15 months old were treated for injuries related to infant walkers, the study published said. More than 90 percent of incidents led to head and neck injuries and the most common cause of injury — 74.1 percent — was falling down stairs. Other causes of injury included falling out of the walker and proximity-related injuries, such as a child pulling or touching an object that they were able to reach when in the device. 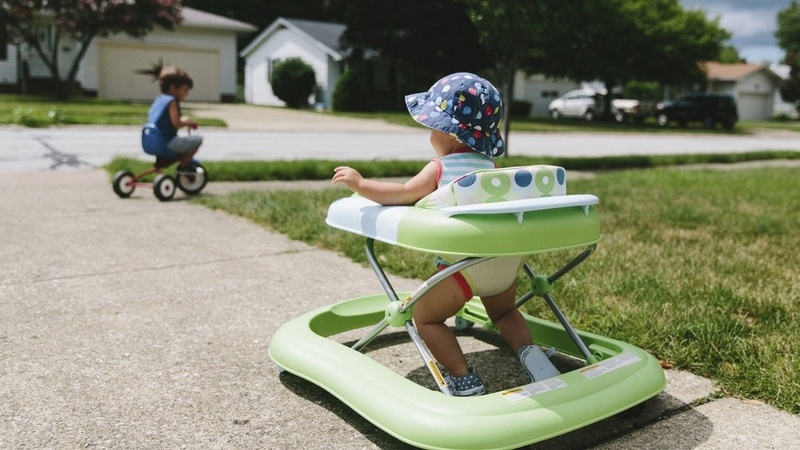 The American Academy of Pediatrics (AAP) has called for a ban on baby walkers with wheels. It suggests parents throw away walkers in their homes and entertain their children in stationary activity centers and with other activities. The devices have no developmental advantages and create a risk for children, according to the AAP. Other countries, such as Canada, have a complete ban on the sale and manufacture of baby walkers. The paper states that in 1997, certain voluntary safety standards were put in place, such as a requirement that “infant walker frames be wider that a standard 36-in doorway or have a braking device if one or more wheels drop over the edge of a step.” In 2010, the U.S. Consumer Product Safety Commission made these standards mandatory and more stringent. “What we set out to do was give a nice summary of what’s happened over the last 25 years to this source of injury to young kids, and specifically to look at the effect of the 2010 change that converted the safety standards of walkers from a voluntary standard to a mandatory standard,” said Dr. Gary Smith, the director of the Center for Injury Research and Policy at Nationwide Children’s Hospital in Columbus, Ohio. The last study that looked at baby walkers took place around a decade ago, according to Smith, and they wanted to update the literature on the subject with the hopes of being able to make a recommendation about the future of baby walkers. Like Smith and the AAP, Fischman believes devices that don’t give young children the range of movement a walker does are safer alternatives.